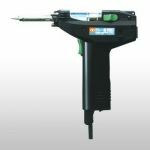 Choose your favorite brand of JBC Tools, Xytronic, Goot, Edsyn, Jovy, Atten, Den-On Instruments, Master Appliance, and Steinel desoldering stations. 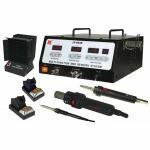 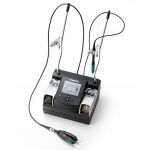 Howard Electronic Instruments offer high quality Desoldering stations, Desoldering tools, and Desoldering irons, by respected manufacturers such as, Xytronic, JBC Tools, Jovy, Atten, DEN-ON Instruments, EDSYN, and Goot. 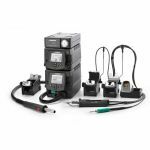 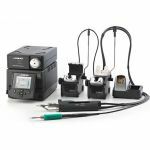 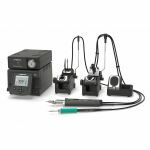 All Desoldering stations sold by Howard Electronics are selected to meet your needs for the serious production line technician, prototype engineer, repair technician and the do-it-yourselfers. 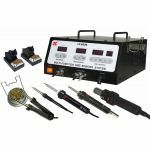 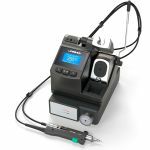 Purchase a Desoldering Station or Desoldering Accessories Today.